As Virgil Abloh’s Off-White x Nike The Ten Collection continues to develop, probably into the hundreds, we’re not surprised to see more colorways arise, but this one is a little left field. Quite obviously the vividly faded pink and purple midsole catches your eye, something that is usually reserved for Virgil’s wild designs. But this time, it’s not the deconstruction that steals the show, its the colors. 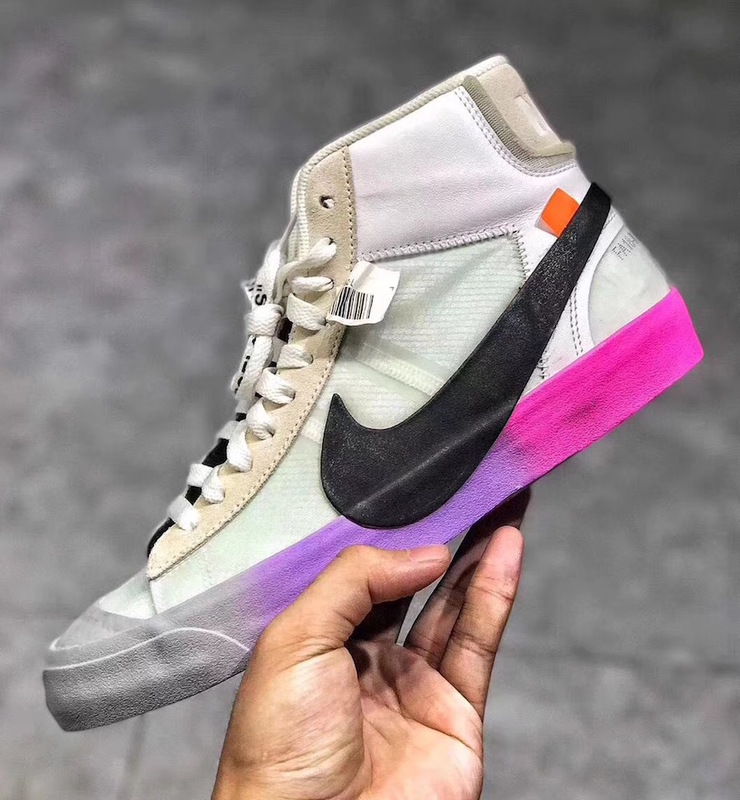 This Off-White Blazer has yet to be confirmed by Nike or Virgil himself, but you can get a full look at the colorway below.